Everyone deserves a meaningful career and employment. For many people, one of the best perks of securing full-time employment is the benefits that come with it. In terms of healthcare, the fact remains that the cost of medical care in the United States is extremely high, especially for someone without insurance. Fortunately, a program created by the current administration grants long-term healthcare coverage, even if you have a pre-existing condition. 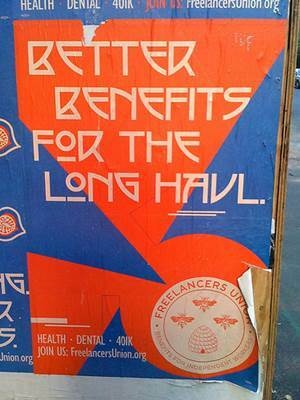 However, be aware that lack of employment is one of the long term care insurance disqualifiers. If youâ€™re lucky enough to have an employer who offers health insurance already, make sure youâ€™re aware of any applicable enrollment periods and are informed about what you need to do to get the type of coverage that you want for yourself or your family members. Also, think twice before quitting your job, especially since it may take you a while to find another career that offers comparable benefits. Besides giving you peace of mind, here are some other reasons why you truly canâ€™t afford to miss out on benefits offered through your workplace. Besides easing the burden of any costs that you might have to bear due to a sudden operation or prescription for a necessary medication, employer-provided benefits can help you avoid any unpleasant surprises too. A blog from the New York Times mentioned that the U.S. government spending for healthcare outpaces that of many other developed countries, but if you get regular checkups, thereâ€™s a better chance that your physician will be able to spot anything thatâ€™s problematic and recommend treatment before issues become serious. Also, tap into any disability benefits that are available. Accidents can happen in a split second, and if youâ€™re not able to work, short and long term disability payments can help ease financial stresses. If youâ€™re a habitual slacker, employer-sponsored health insurance programs probably wonâ€™t do much to change that, but they might at least reduce the amount of times that you have to call in sick. When you take care of yourself, youâ€™ll have a better outlook on life, and might just discover some new-found motivation, too. The more time you spend at work, the easier itâ€™ll be to bond with your coworkers and maybe even encourage them to take advantage of their own health insurance benefits during the next open enrollment period. …when an employer offers benefits that demonstrates how they care about the people whoâ€™re working for them. Switching employers is sometimes necessary, but frequently stressful too. If youâ€™re generally happy with where you work, and also have the advantage of things that give you a more stable future, like life insurance and a retirement plan, youâ€™ll be more likely to want to work through any issues with your employer instead of becoming frustrated and looking for work elsewhere. Even if youâ€™re still young, itâ€™s never too early to start ensuring that youâ€™ll have a comfortable future to look forward to after you leave the working world. Many people have an increasing amount of responsibilities to deal with and frankly, subscribing to employer-offered benefits can give you more time to spend on doing the things that you love. Trying to find your own coverage can be extremely intensive, and you might waste hours searching online or talking to people you know in an effort to be as informed as possible. Now that youâ€™re more aware that an employerâ€™s benefits can help more than just your well-being, thatâ€™s more of a reason to meet with them and find out how soon you can sign up! In the United States, millions of people go without health insurance and other benefits because they have no other options. If your employer offers advantages tied to your full-time employment, access them today. Amie Gottschalk is an avid blogger who writes often for several insurance sites. You can follow her on Twitter @amiegottschalk.